WHERE do good airplanes go when they die? 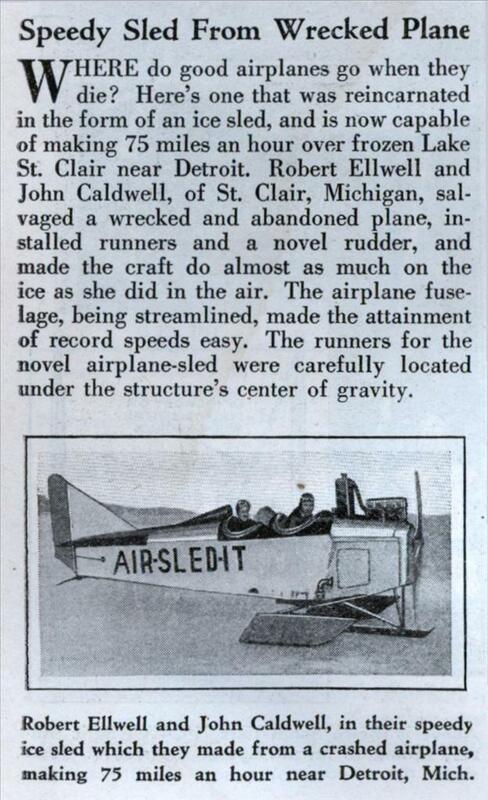 Here’s one that was reincarnated in the form of an ice sled, and is now capable of making 75 miles an hour over frozen Lake St. Clair near Detroit. Robert Ellwell and John Caldwell, of St. Clair, Michigan, salvaged a wrecked and abandoned plane, installed runners and a novel rudder, and made the craft do almost as much on the ice as she did in the air. The airplane fuselage, being streamlined, made the attainment of record speeds easy. 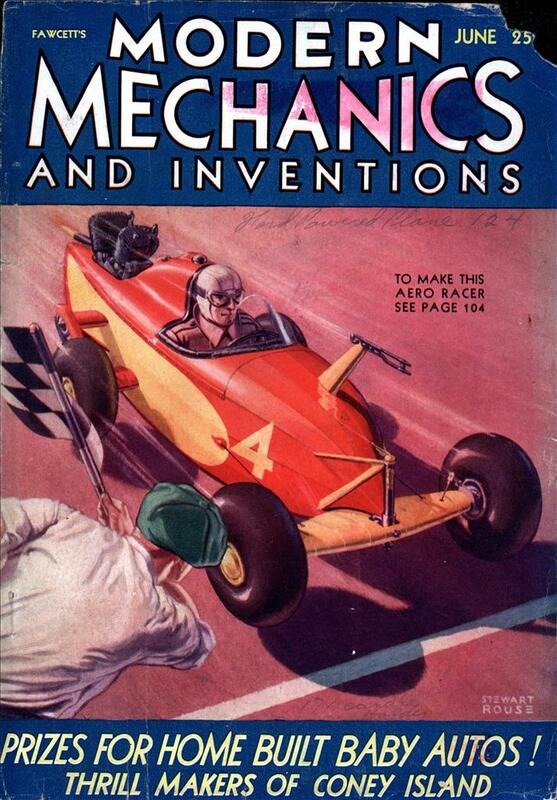 The runners for the novel airplane-sled were carefully located under the structure’s center of gravity. If he was smart he would have loaded it up with Canadian Club in Windsor and sold it in Detroit. Why do you think the plane crashed in the first place? better yet why would you leave a perfectly good motor to rust to hell? not me! does anyone have any info on the actual plane?